Discover the finest in modern luxury living in this fresh new luxury home by BDR Fine Homes. Nestled down a quiet street in the heart of Medina, this newly completed home is private and gated and features a sunny and flat backyard. Walk to the nearby award winning schools, the community Green grocery store, Medina Park, and the beach. Boasting over 6,100 SF and 5 bedroom suites plus a den, the home features a GenSuite guest suite with a separate kitchen, bedroom/living room, bathroom, and private entrance. The expansive covered outdoor living room is tailored for year-round living, featuring heaters, a fireplace, TV, and BBQ. The chef’s kitchen is equipped with top of the line appliances, luxurious finishes, custom cabinetry, and an oversize center island. The home also features a unique detached executive office and a 4-car garage. 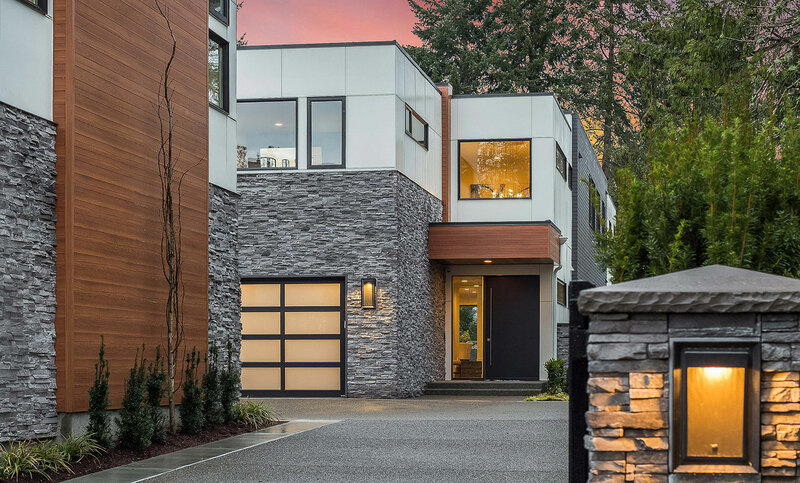 This newly completed luxury home is being offered at $6.2M.